Best known as the skiing and alpine capital of Japan, Hakuba is not only home to some of the best skiing and snowboarding slopes in the world, but also has a wide array of activities ranging from sporting and leisure activities in both the winter and summer time to peace and quiet, great nightlife and relaxation at its best in Hakuba’s natural hot springs (onsens). 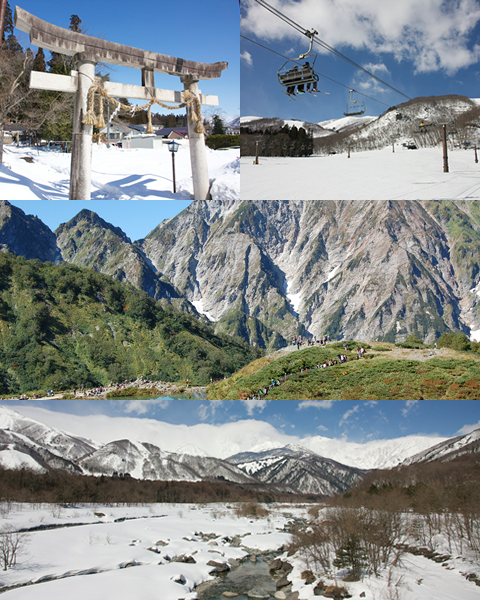 Whether you are a skier or boarder, a backcountry thrill-seeker or a novice at snow sports, Hakuba offers great variety of terrain and has something for everyone. Apart from its popularity as a winter destination, Hakuba is also thriving in the green season where the mountains become home to hikers and mountain bikers alike. Dining in Hakuba can also be a real treat ranging from decadent local Japanese cuisine to your homely Japanese sushi restaurant. International cuisine is also available including Chinese, Mexican, Thai and Italian restaurants to name a few. At the end of an activity filled day, there is nothing more relaxing than indulging in one of Hakuba’s many onsens. Recommended by dermatologists, the purifying properties of the springs result in maximum benefits to your skin whilst enjoying total relaxation.